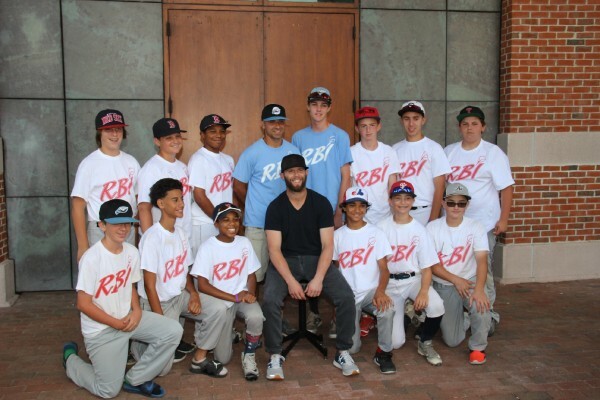 This year we were honored to send boys to the Dustin Pedroia Camp at Stonehill College, run by the RBI Academy. The girls enjoyed their camp at Regis College, run by Revolution Camps. All the kids were picked by coaches who run teams in the leagues sponsored by the Red Sox Foundation and are well-deserving of this privilege. Recently, I have gotten more into baseball than I ever have been before. A big part of what caused that is a summer camp that I recently attended called the Dustin Pedroia Baseball Camp. It has some of the best baseball training that I have ever gotten, and it really motivated me to start working harder to get better at the game. I always wanted to be the best I possibly could, but I never realized how much more work I would have to put in if I really wanted that to happen. The BoSox Club allowed me to go to this amazing camp and work towards my dream of playing at a higher level. Lorenzo B. To persevere ... perseverance is when you are faced with difficulty but continue to achieve your goal. Jackie Robinson embodied perseverance; he was faced with racial discrimination in a time where baseball players were predominantly Caucasian. Despite all these obstacles he faced, Jackie became the precedent for the baseball we have today; he was the first but not the last to play professionally. Jackie persevered through all of this hate that was directed towards him and became one of the greatest baseball players in history number 42 was truly an inspiration. When I went to Dustin Pedroia camp this year it was a great experience. I was a little afraid because I did not know what to expect ... we were sadly split up into different teams which was a problem because I didn't know anyone on my team. But like Jackie, I persevered through that and got to know my teammates. We started off losing the first two games and were very frustrated when we finally came together as a team. Instead of us being away and staying to ourselves we started to help each other and point out things to work on. Everything started going good after that especially when we got to meet Dustin himself ... We started to believe in each other and after that night we had a great warm up in the morning which helped our confidence coming into the afternoon games. We ended up winning the rest of our games and became really close friends. Looking back I think we persevered through one big problem which was being complete strangers and all being too hard headed to even talk to each other which proved to be great. Our obstacle was not as great as Jackie's, but it was a really big problem because if you do not have communication on a team you will never be successful. My team was able to solve all our differences and persevere to win 4 straight games ... this camp helped me with communication and inspired me to be a better person. Angel C.
... My camp experience was great and I am really happy that I went. Thank you to the Red Sox Foundation and the BoSox Club for the opportunity. I feel more independent and know that I can get myself up for school this coming school year! I know I can work hard and see the results from my hard work. Megan K.
I feel after attending the softball camp that I have learnt a lot about the game, and also it has helped me with some of my own fear. One barrier I faced during this camp was courage ... I am a very shy person ... but the other kids helped me ... I learnt to use courage to face it and join in and talk to people. I learnt a team can never be successful unless it works together as one whole ... and that you must always have commitment when you're with a team. I will never stop trying my hardest to overcome obstacles that come my way. Now I have the courage, determination and commitment for softball. All of these barriers I have faced, gone through with them and overcame them. In the future I will try my hardest to try and overcome every barrier that I come across. 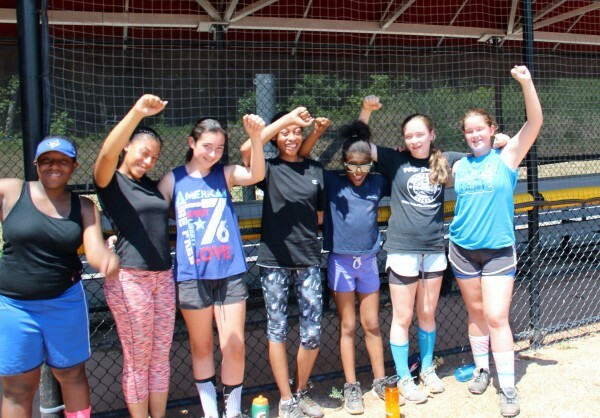 Kelly M.
During camp I experienced some challenges: learning how to pitch, groundballs, hitting. Even though I had these challenges I was able to overcome them by concentrating, practicing hard, and trying my best. Throughout this experience, I learned more about myself, adapting to a new environment and overcoming challenges ... This experience would not have been possible if I was not a part of the RBI program. Thank you BoSox Club for allowing me to have this opportunity. Amari R.